Dr. Debi Smith talks about the importance of understanding your partner’s bottom-line question. Posted by occhristiancounseling in classes, dating, Dr. Debi Smith, Events, understanding men, understanding women. One of the things I love about men is also the thing that bugs me about them. I know that no one is perfect, and certainly not we women. The simple fact of our imperfection tells me that we must be annoying to men at times. But they almost never tell us what they don’t like about us. I love that about them. They just accept us. Or do they? Do they not critique us because they’re so crazy about us? Or is it because they don’t want to hurt our feelings? Or is it because they don’t want to suffer the fall-out if they say anything negative about us or our behavior? Their silence can result in a different problem. Without their feedback, we’re left to our own self-evaluations. That can be a dangerous thing. Some of us will assume that there’s nothing about us that’s unpleasant to our fella. Other women – me included – will watch for signs of his displeasure and try to adjust accordingly. But what are we adjusting to? The problem with that is our perception of his nonverbal behavior. Something so ambiguous as nonverbal behavior is wrought with potential for misinterpretation. So what’s a woman to do? But I also have to wonder, what’s a fella to do if he is displeased with his gal? If he says something to her, she will probably get her feelings hurt. And when that happens, she’ll get defensive. And in her defensiveness, she’ll lash out or withdraw. So there’s a very good reason (or two) why men don’t give us feedback. But maybe there’s more to learn from men on this! What if he’s treating you the way he wants to be treated? What if he would like you to focus on his strengths and avoid the criticism? What if you only told him what he is doing right? IMPORTANT FACT ABOUT MEN: Criticism never changes their behavior. Now there’s some valuable information to hang on to! Would you like to know more about this topic? I hope you can join us for Prelude to a Dance! Posted by occhristiancounseling in Dr. Debi Smith, Q & A, understanding men, understanding women. Dr. Debi Smith talks about the difficulties inherent in understanding what men and women need from one another. Posted by occhristiancounseling in attachment, Dr. Debi Smith, emotions, understanding women. 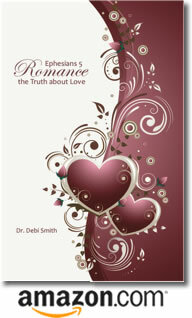 Dr. Debi Smith discusses women and anger in the context of a romantic relationship. Posted by occhristiancounseling in Dr. Debi Smith, Events, understanding men, understanding women. Over the past few days, I’ve noticed a common question in my discussions with men and women, both professionally and socially. And when the same question comes up over and over, it’s worth paying attention to. My response to this particular question highlights two bottom-line issues for a man and a woman in relationship to one another. #1. What should a Christian man do in regard to the woman he loves? First, he needs to be boldly upfront in his faith – to fearlessly express his desire to seek and follow the Lord. When he is explicit in this, his woman can more easily trust and respect him. Simply put, if she doesn’t hear him pray or read the Bible, she worries more. And worry leads to attempts to fix, manage, and control things – not a pleasant prospect for either one! Second, he needs to treat his woman the way the Bible tells him to. The instructions are simple, but not always easy to follow. In fact, the Bible is pretty demanding of men (See Ephesians 5:25-30). Guys are held responsible for so much! And if his woman doesn’t feel secure, loving her as he should won’t be an easy job (see #1). # 2. What should a Christian woman do in regard to the man she loves? First, she needs to love her man. However, in doing so, she must learn what it is that a man actually needs from her. Many a woman has the tendency to try to love her man by treating him the way she wants to be treated. But men* are not like women – at all – in terms of what they need and what makes them feel loved and supported. Second, she needs to trust the Lord. You’d think I would have put this one first, wouldn’t you? But in reality, a woman just naturally moves toward the mushy stuff. She is more inclined to believe that “all we need is to be together.” And the reality of the differences* between her and her man often makes her want to force/fix things in order to fulfill her dreams (e.g., riding off into the sunset on the back of her cowboy’s horse). She needs to learn how to pray for her man and to trust the Lord to lead him. When she does that – which isn’t easy either – she can feel more confident in her relationship with him (See Ephesians 5:22-24). If you’d like to know more, stay tuned … or join me in Newport Beach for my next FREE Women’s Seminar! * Men and women are equally valuable creatures. But they do think very differently – using very different logic. So they behave very differently as well. Yet they tend to interpret one another’s behavior by the same, rather than by appropriate gender-specific standards.